Upcoming events are posted on our reader board. Please see our Facebook page for event details! 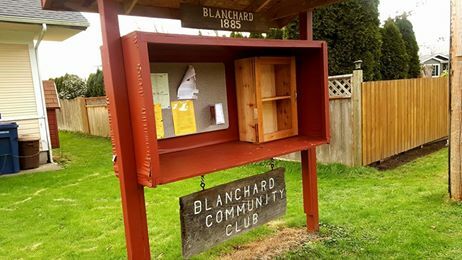 Thank you to Dave Swanson for building and installing our Little Library at the Hall. Leave a book or take a book… it is perfect reading by the fire weather! Mark your calendar, and join us! 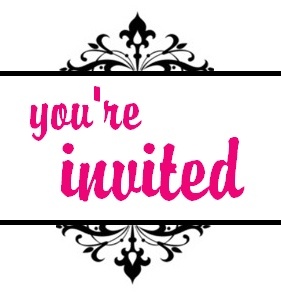 Annual Meeting & Soup Supper at 6:00 pm on Tuesday, January 27, 2015. 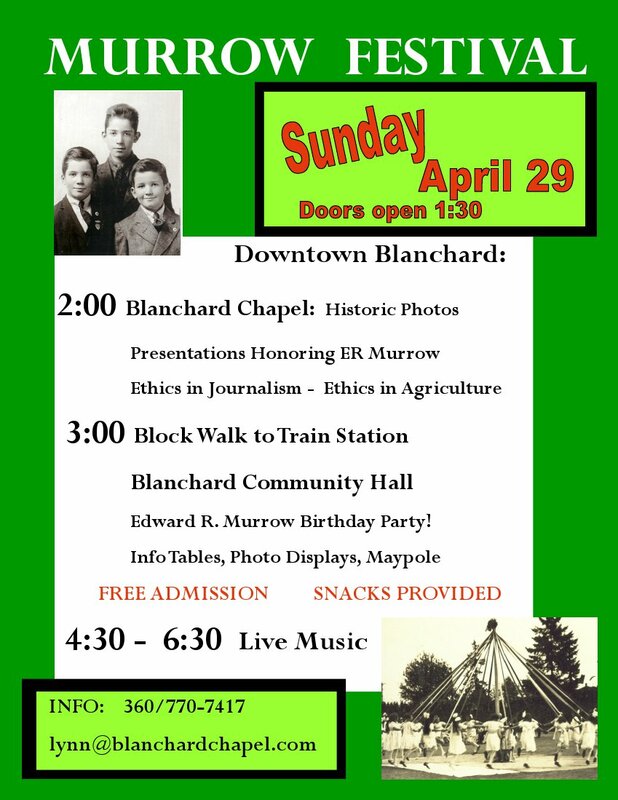 Come Join Us at the Annual Blanchard Auction! The Blanchard Auction will be held Saturday, October 19, 2013. Tom Pasma will auctioneer, the silent auction will be held from 6-7:00pm; the live auction will begin at 7:30. Donations of goods and services are appreciated, and can be dropped off at the Hall on Tuesday(10/15), Wednesday (10/16), and Thursday (10/17), and a request will be made that donations are provided before Friday the 18th. Donation drop-off times are 7- 8:30 on the 15th, 16th, and 17th. You may call Tom Wake (360/766-4321) for item pick up or other drop-off arrangements. 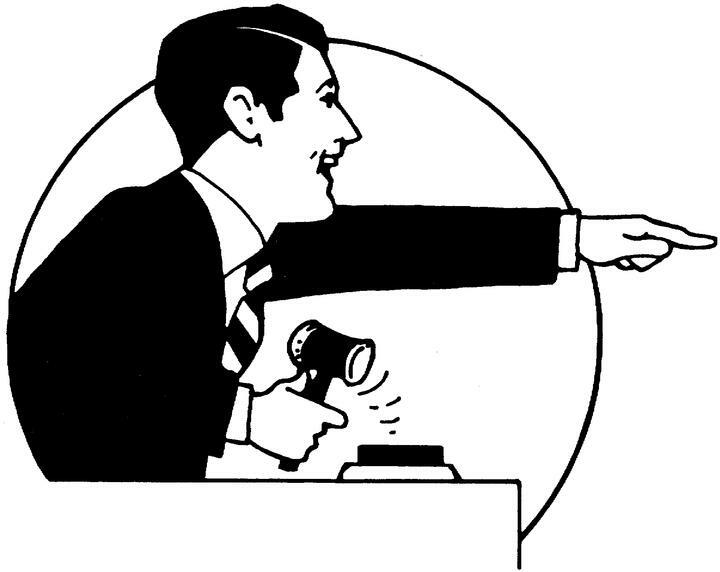 For auction questions call Peggy Bridgman, 766 – 6690. 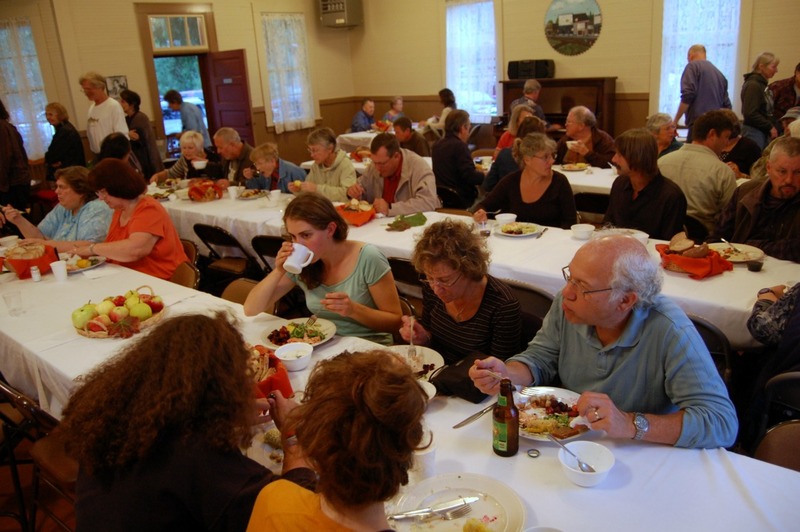 Join us for our annual Harvest Dinner on Thursday, September 19, 2013. We will be serving from 6:00 to 7:00, and are offering salmon, corn-on-the-cob, potatoes, Breadfarm bread, salads, desserts, and beverages. Prices are $12.50 per adult, $5.00 children aged 6-12, and 5 or under free. Please pre-register by calling the co-op @360-336-5087 or replying to this email with the number of people in your party. It might be the Virgo in me (Jill), but I do like organization,and putting things in their place. So what better thing for me to do, then Stuff Things nice and tidy in food!! This class will feature Stuffed Sweet Peppers with Sausage and Cheese, a Bruschetta-Stuffed Mushroom, Mustard Stuffed Cheesy Chicken and to finish off – a Stuffed Cookie. Oh,and I will be needing your help too, so get ready to roll up your sleeves and volunteer. Class will fill fast so save your spot. This is a free event with great food! 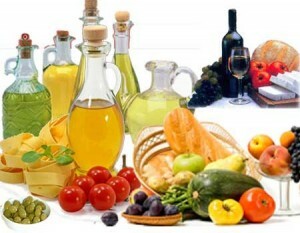 Soups of all varieties (vegetarian and gluten-free offerings among them), bread, desserts, and beverages will be served. What could be better for a cold winter evening? There will be a brief meeting at 7 p.m. to nominate the 2013 BCC Board, and to discuss a few business items. If you are interested in being a board member or have a nomination please let us know. We are alway looking for people who would like to get more involved in our community. It is also time to update your membership for the 2013 year. It is only $5 for a year per member. Please bring the attached membership form to the meeting, or mail it to us if you can not make it on the 22nd. Edward R. Murrow’s Birthday Celebration! Besides cultivating crops, I also believe in cultivating international understanding and friendship. That is why I became a local coordinator for PAX, foreign student placement program. Host families can be married couples with kids or not, singles, empty-nesters…and they would be enrolled in Burlington HS. Put on your Middle Eastern taste buds, we will be walking down the spice lane of goodness. Engage the senses while feasting on Shawarma, and entice the palette with some veggie dolmades. This will be a fun filled class with lots of flavors that will awaken your Arabian Night!! Please try to make it if you RSVP or give 48 hour warning if you can not attend-as we often have to turn people away.